Non-painting partners, sharing a room are welcomed at the special price of £2950 inclusive. You can sample all the delights that India can offer. Many people will know of Roger who is a very experienced artist and popular tutor. Beginners to experienced artists welcomed. Roger will be painting in oil on this trip, but he is more than delighted to teach and tutor in the medium of your choice, watercolour, oil, pastel or acrylic as he is skilled in all mediums. He is a wonderful artist and a very popular tutor with a big following so early booking is advised. Non participating partners sharing the deluxe room are welcomed at a discount of 30%. No single person supplement. (WE NEVER CHARGE A SINGLE SUPPLEMENT!). 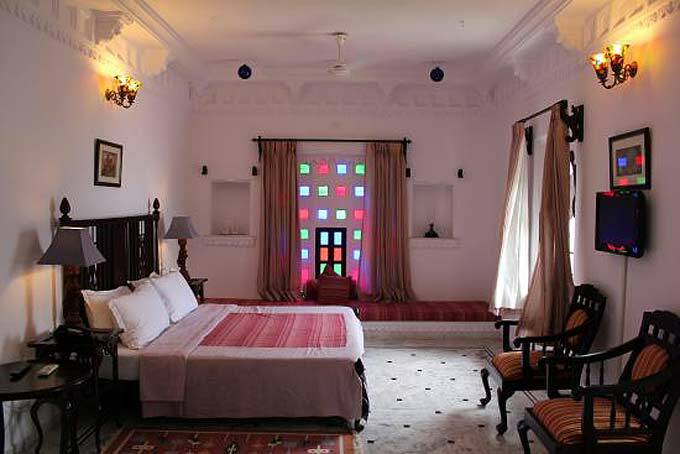 Our Haveli, this truly delightful, charming hotel is set on the edge of the Pichola Lake with breathtaking views of Jagdish Temple, Gangaur Ghat, City Palace, Lake Palace, Jag Mandir and Sajjangarh Fort. Each deluxe room or suite has air conditioning, television with cable, tea and coffee making facilities, a safe, mini fridge, hair driver, free Wi-Fi and intercom. There is a lovely pool at the hotel. There is a Spa offering massages and treatments.There is also a doctor on call (hopefully not needed), travel assistance, parking, laundry and the hotel takes American Express, MasterCard and Visa. We are looked after very well here by very kind charming staff who make us feel nothing is too much trouble. We have stayed with them many times and consider them friends. There is two lovely restaurants, one featuring Indian, Chinese and International cuisine and the other featuring Mexican, Italian and International, both set on the edge of the lake. Pamper your taste buds with the mouthwatering food during your stay in Udaipur. These paradise lakeside garden restaurants will tantalize your senses – prepare for gastronomical bliss! We know this area very well now. It is perfect if you have always wanted to go but prefer to have someone with you who is familiar with the region. Roger and the group will be going out with you to locations during the day painting and drawing. He will be doing a demonstration each day. He will decide on the time according to the changing light of the day. There will be many opportunities to explore the area and take in its many colourful scenes. Have an adventure on a Tuk Tuk into the centre, around the colourful spice and vegetable market, a trip to the impressive City Palace, or up to the Monsoon Palace to paint the sunset. There is also an opportunity to take a boat ride around the lake. 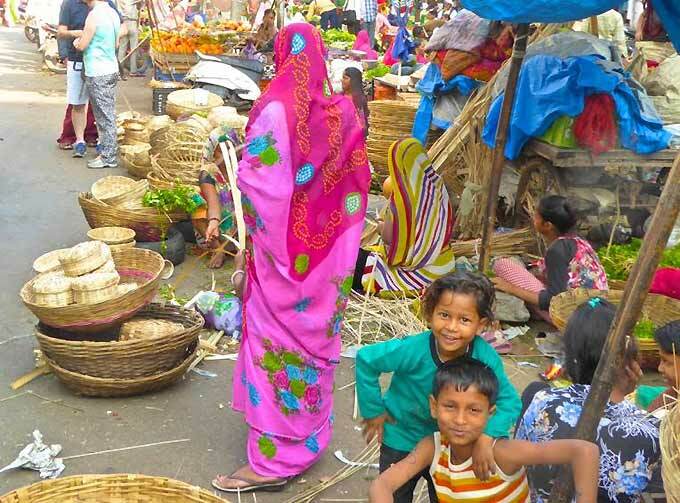 During the week we will arrange 3 trips but you are welcome to explore everything Udaipur can offer including wonderful shops, Ayurvedic centres, jewellery and beautiful silk and linen fabrics. We will all be there to guide and help you. The painting days will start with Roger talking you through different views, looking for subjects followed by a short demonstration. He will assist where necessary to help you with your paintings with plenty of advice and help where needed. Following this at the end of the day looking at your paintings with constructive criticism over an aperitif. You will need to bring your own materials. Roger is currently updating his list of travel equipment for 'Plein Air’ please contact Roger directly if you would like to discuss materials. There is an art shop in Udaipur that has materials, but not brands that most people are used to, but it works well as a back up if you need anything more during your stay. Udaipur city, also known as the 'City of Lakes' and the 'Venice of the East', is a very popular tourist destination in Rajasthan, India. The capital of the former princely state of Mewar is considered to be one of the most romantic cities of India. We guarantee to show you the very best of Udaipur and the area, and we can arrange a trip to Jaipur if people are interested. Udaipur is a land of azure water lakes, hemmed in by the lush hills of the Aravalis. The city is a blend of sights, sounds and experiences. With its kaleidoscope of fairy-tale palaces, lakes, temples, gardens and narrow lanes, the city evokes it’s heroic past, epitomizing valour and chivalry. Voted the Best City in the World in 2009! Lake Pichola, is an artificial fresh water lake created in the year 1362 AD, one of a set of lakes in the city. The lake was built by Banjara, a gypsy and grain merchant during the reign of Maharana Lakha. Later, Maharana Udai Singh, impressed by the charm of this lake with the backdrop of green hills, founded his palace on its banks. Expect atmospheric dawns and magnificent sunsets. Jag Niwas, site of the Lake Palace. Arsi Vilas, a small island which has a small palace. It was built by one of the Maharanas of Udaipur to enjoy the sunset on the lake. It is also a sanctuary catering to a variety of birds, including tufted ducks, coots, egrets, terns, cormorants and kingfishers. We are now including your flights from London to Udaipur in the price. peoplestravel are ATOL and IATA registered with 45 years’ travel experience, specialising in luxury holidays whether it be individually tailor-made or group travel to destinations across the world from Asia to Australasia and South America to the USA or closer to home here in Europe. We recognise a holiday of any sort is an exciting time often to a destination which is a once in a life time treat so we look to work with our customers and partners every step of the way. Our team go to great lengths to discuss with the client their needs, requirements and budget before tailoring a holiday of choice. Our travel consultants are knowledgeable, friendly, approachable and passionate with a wealth of experience across a wide range of destinations. peoplestravel have teamed up with Painting in Europe to be their preferred travel partner. So anyone considering a painting holiday with Painting in Europe can be safe in the knowledge, expert help is on hand to provide the necessary guidance and expertise to ensure it will be memorable holiday. You will need a tourist VISA to visit India but this is easily done online, or peoples travel are able to help you with this. If you decide to do it yourself please follow this link for all the information you will need and to receive your Visa online. https://indianvisaonline.gov.in/visa/ Please contact us if you would like any help with travel. Taj Mahal and Agra We are more than happy to advise on trips and tours to other parts of India, including the Taj Mahal at the end of this course. Please just contact us if you would like help with travel, hotels or guides. If several guests wish to go it could make a nice group and extension to your trip! Weather This time of year is a comfortable mid to high 20’s, but can vary due to climate change.